nice contrast, I like the \'gold and cloud\'. Beautiful golden tones. Very nice. The story behind "Kremlin domes close-up"
You might have thought (hoped?) that this was enough of Russia, but it is a big country! 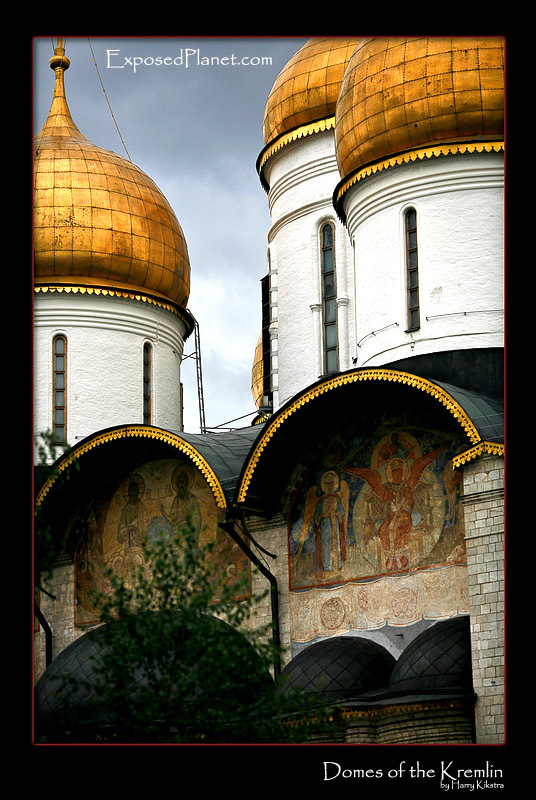 This is a close up of one of the Cathedrals inside the Kremlin walls, on Cathedral Square.